Jocko Willink's methods for success were born in the SEAL Teams, where he spent most of his adult life, enlisting after high school and rising through the ranks to become the commander of the most highly decorated special operations unit of the war in Iraq. In Discipline Equals Freedom, the #1 New York Times bestselling coauthor of Extreme Ownership describes how he lives that mantra: the mental and physical disciplines he imposes on himself in order to achieve freedom in all aspects of life. Many books offer advice on how to overcome obstacles and reach your goals―but that advice often misses the most critical ingredient: discipline. Without discipline, there will be no real progress. 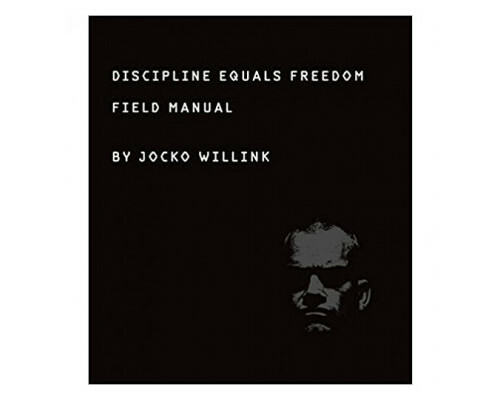 Discipline Equals Freedom covers it all, including strategies and tactics for conquering weakness, procrastination, and fear, and specific physical training presented in workouts for beginner, intermediate, and advanced athletes, and even the best sleep habits and food intake recommended to optimize performance.